React was built for the purpose of developing applications that are large in nature and have to deal with time changing data. So if you need fast refresh i.e. 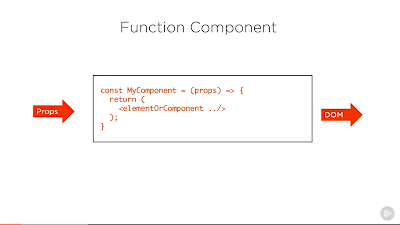 updating individual component without updating whole DOM then React is the right framework. Unlike Ionic or Cordova, React Native doesn't run as a web application or on the WebView, instead it uses native components, that makes it much more appealing. In short, React is a high-performance, reactive UI library for client-side web applications. If you have a goal to learn React framework this year then you have come the right place. I have earlier shared The React Developer RoadMap and today I'll share some of the free courses to learn React JS online. You can follow along to learn to React at your own pace. Here is my list of some of the free courses to learn React framework for web development. These courses are free of cost but they are really great to get an overview of React and start your journey. Once you have gone through these courses, you should have enough knowledge to use React in your project. You can also pick up a book to learn React in depth and that will make more sense because you already know the fundamentals and vocabulary of React. Actually, this is what I do, when I have to learn something in depth. Start with an online course, get up to speed and then read a book to consolidate your knowledge, learn a concept in depth and become a master of the technology. Also in this course, it will get you up to speed quickly with easy to follow short videos. It is project-oriented with hands-on examples, from simple to complex, that will help you with the most fundamentals concepts of React like React custom syntax and the JSX transform components, properties and state, and the power of the virtual DOM. In short, a great course for anyone who wants to learn React without much knowledge of HTML or CSS. Sometimes, the best course of action is to make up your own mind based on your own experiences. And that's exactly what this course will aim to do. We're going to design and develop a single page app in React, Angular, and Vue.js. The goal here is to help you determine which workflow you like best based on your own needs and preferences. This is an awesome course to learn the basics of React.js from Pluarlsight. This course prepares the student to start developing web applications with the React JS library. The course will explain using an example web application how to use React.js in your web application. This is another excellent course to learn React framework from scratch. 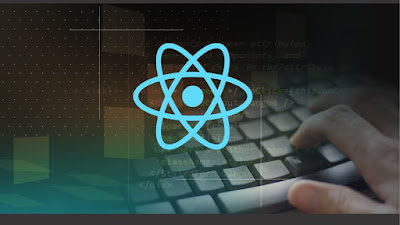 This course covers the features offered by React and explains their advantages and disadvantages relative to the other popular options available. It also explores important topics like React's one-way reactive data flow, the virtual DOM, and JSX syntax for describing markup. Btw, this and the previous course is not really free, as you need a Pluarlsight membership to access this course but don't worry you can get it free by signing up for a 10-day free trial. 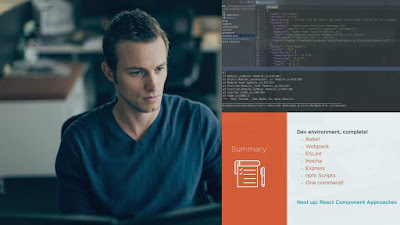 A great course to start with React, React Router, and Flux by building a real-world style data-driven application that manages Pluralsight author data. This course uses a modern client-side development stack including Node, Browserify, Gulp, and Bootstrap. Btw, this course and other Pluralsight courses are not completely free. You need a Pluarlsight membership to access these courses, but don't worry. Pluarlsight also provides 10-day free trial which you can use to access these course. Though, if you can afford, Pluarlsight membership is completely worthy of its money. By paying just around $29 you get access to more than 5000 courses on latest and greatest technologies. If you go for an annual membership, it cost around $299, which is also a very good price for these many courses and continued learning. That's all about some of the best courses to learn React JS for free. React is backed by Facebook and it's the biggest competitor of Google's Angular framework. If you are serious about web development in 2018 then React is one of the important frameworks to learn. Thanks for reading this article so far. If you like these free React framework courses then please share with your friends and colleagues. If you have any questions or feedback then please drop a comment.